Production 1963 to 1975 at $620 - $795. 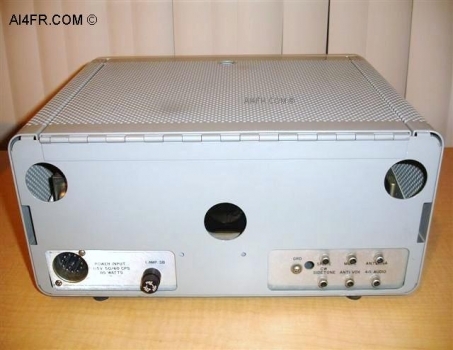 The Collins 75S-3B is a double conversion, Super heterodyne receiver that covers all of the amateur bands between 3.4 mc and 30 mc, except 5 to 6.5 mc, by installing the appropriate crystals. 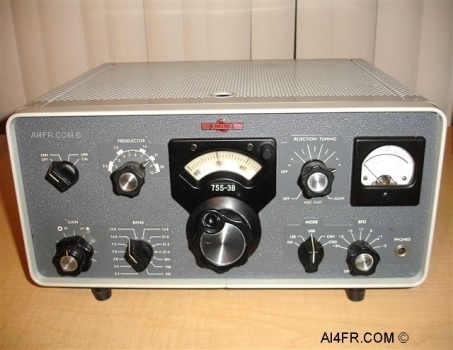 The 75S-3B has exceptionally sharp selectivity during operation in any of its three operating modes which are SSB, CW and RTTY. The reception of AM is possible as well and this passband can be optimized by the installation of the optional 3.1, 4.0 or 6.0 kc mechanical filter. There are two CW mode switch positions and with the optional plug-in filters it can offer up to three degrees of selectivity in the CW/SSB function. 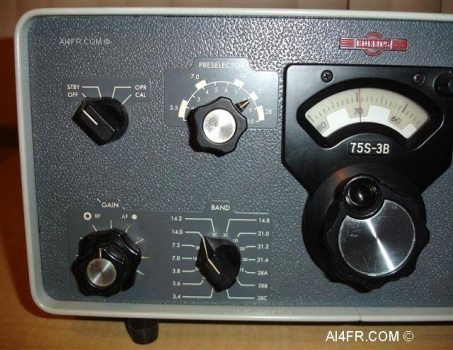 The 75S-3B can be combined with other Collins transmitters and transceivers to make a completely integrated station. 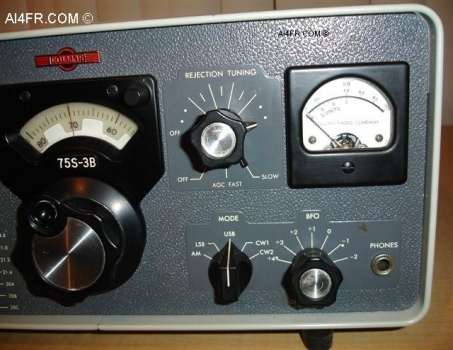 The 75S-3B, when used with transmitters is capable of transceiver type operation with the receiver PTO controlling the transmitting frequency. The 11 tubes and their functions are as follows, a 6DC6 as a Crystal Calibrator, 6DC6 as a RF Amplifier, 6EA8 as the 1st Mixer/Crystal Oscillator, 6EA8 as a 2nd Mixer/Cathode Follower, 12AX7 as the Q-Multiplier, 6BA6 as the 1st IF Amplifier, 6BA6 as the 2nd IF Amplifier, 6AT6 as a AGC Rectifier/AM Detector/AF Amplifier, 6BF5 as a AF Output, 6DC6 as a BFO, 6AU6 as a VFO. The size of this receiver is 14-3/4" wide by 7-3/4" high by 12-1/2" deep and it weighs in at 20 Lbs. The power requirement is 115 volts AC at 50/60 cps. 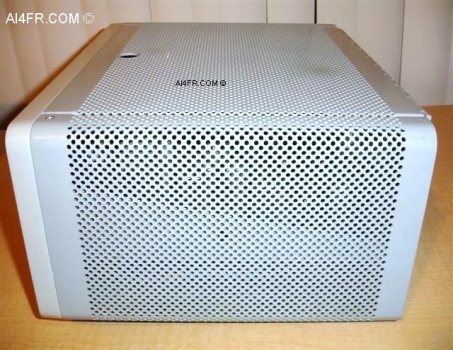 Power consumption is around 85 watts. The photograph on the left is of the side of the receiver with the hinged top cover in the closed position. 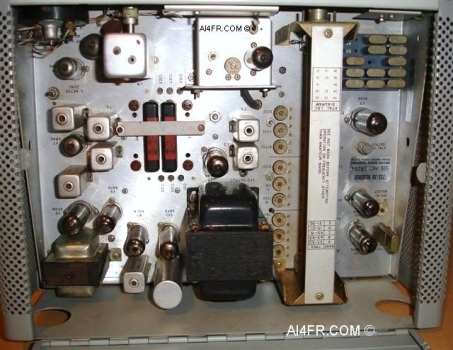 The photograph on the right is a picture of inside this receiver with the hinged top cover in the open position.